Year in and year out, the Film Independent Spirit Awards serve as Oscar season’s most genuinely confusing awards show. After all, over the course of the last ten years and change, the lines between truly independent film and studio-financed projects have not so much blurred as they have been erased. Still, the Indie Spirits soldier on with their oblique mission statement (their nominating process is driven by “uniqueness of vision, original, provocative subject matter, economy of means and percentage of financing from independent sources”), their sponsorship-friendly stance (including the Acura Someone to Watch award and the Lacoste Truer Than Fiction award), and their willingness to serve as the rehearsal dinner for the lavish wedding ceremony that is the Academy Awards. Leading the pack of 2009 Spirit honorees with six nominations apiece are Jonathan Demme’s Rachel Getting Married (which includes a Best Actress nod for Anne Hathaway), Sundance fave Frozen River, and Lance Hammer’s low-budget look at life on the Mississippi Delta, Ballast. 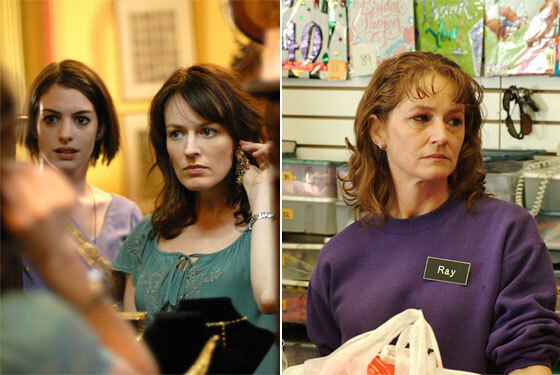 Other key story lines emerging from this morning’s press release include what is sure to become a tightly contested Best Actor category (featuring heavyweights Sean Penn, Mickey Rourke, and Javier Bardem) and the no-holds-barred death match between Rachel Getting Married co-stars Rosemarie DeWitt and comeback kid Debra Winger in the Best Supporting Actress category.